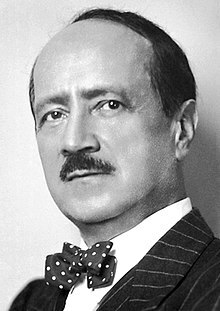 Saint-John Perse (French: [pɛʁs]; an aa Saint-Leger Leger, pronounced [ləʒe]; pseudonyms o Alexis Leger) (31 Mey 1887 – 20 September 1975) wis a French poet-diplomat, awairdit the Nobel Prize for Leeteratur in 1960 "for the soarin flicht an evocative imagery of his poetry." ↑ During his lifetime, he wantit tae mak believe that Saint-Leger Leger wis his real name. This page wis last eeditit on 18 August 2016, at 21:47.